We will help you choose the perfect project tree. 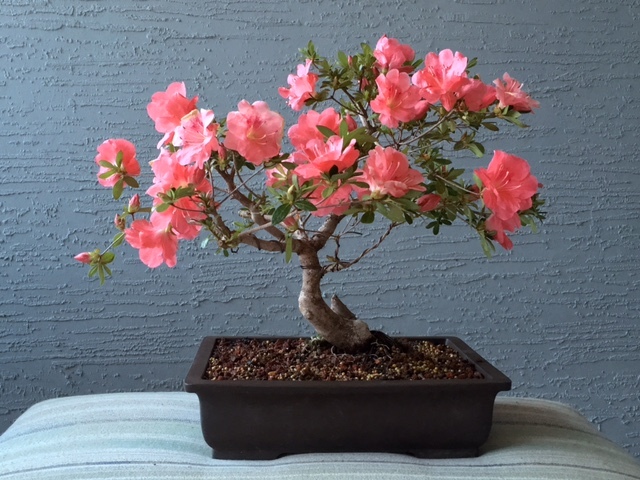 This workshop will include an overview of Japanese azaleas, basic care management, design, and techniques. Brad has studied under many national and international teachers over the years. For the past 9 years he has been studying in California under the only Japanese Nippon Bonsai Association Certified Master Teacher in the U.S., Kenji Miyata. During his studies he has acquired advanced techniques in many bonsai species. His knowledge of azalea husbandry, design, and training techniques have won him several Best in Shows across the U.S. as well as presentations at the Southeastern Flower Show in Atlanta. Older azaleas, including Wakaebisu, were recently located, hand selected by Steve and arrived here last night. Beautiful plants from Nuccio’s Azalea Nursery in Altadena California will also be available as workshop material. This Workshop is now FULL. Call or email us if you would like to participate in a future Azalea workshop and we will set it up! Thank you for your interest.